CGI Wombles 'much cleaner and nicer' Jump to media player The Wombles of Wimbledon Common, the children's programme about lovable litter-picking creatures, will return to TV in 2015. The Wombles play Glastonbury Jump to media player The Wombles of Wimbledon Common will play at this year's Glastonbury Music Festival. Giant 'Gromit' made in back garden Jump to media player A giant version of the animated canine character Gromit is built in a Nottinghamshire back garden. The Wombles of Wimbledon Common, the children's programme about lovable litter-picking creatures, is making a TV comeback on Channel 5. 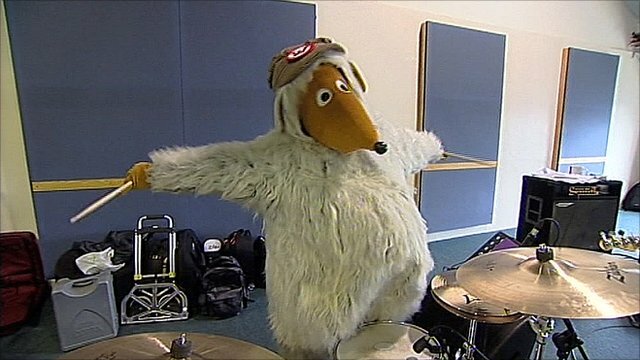 BBC Radio 5 live's Breakfast talked to musician Mike Batt, who composed the music for the series, as well as creating The Wombles pop act who enjoyed a string of hits in the 1970s. Mr Batt said the show, which will be made over the next two years by the TV company Serious Lunch, will look "much cleaner and nicer" because of computer generated animation.